Staying in the Carolinian capital Columbia, there was exciting news for armchair historians as archaeologists begin excavating Camp Asylum. They have four months before the site is going to be developed into shops, housing, and even a minor league baseball park. Camp Asylum was one of several Prisoner of War camps in the Columbia area. 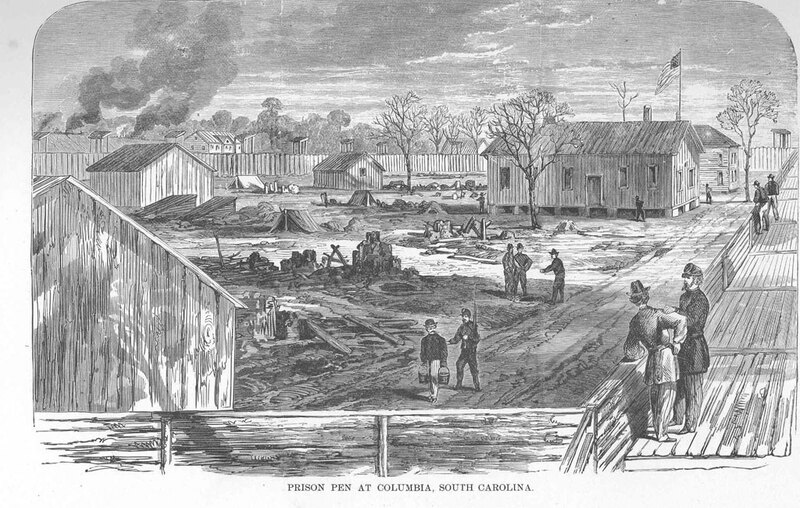 The first prison in Columbia was Camp Sorghum in West Columbia. Prisoners had been hastily moved from Charleston after a yellow fever outbreak and the Confederate prison was poorly constructed and ill-equipped to house the thousands of prisoners. Disease ran rampant and prisoners had to dig pits for warmth and shelter. Sorghum was one of the main rations, which is how the camp got its name. Escapes were common and former prisoners spread the news of the camp’s desperation. 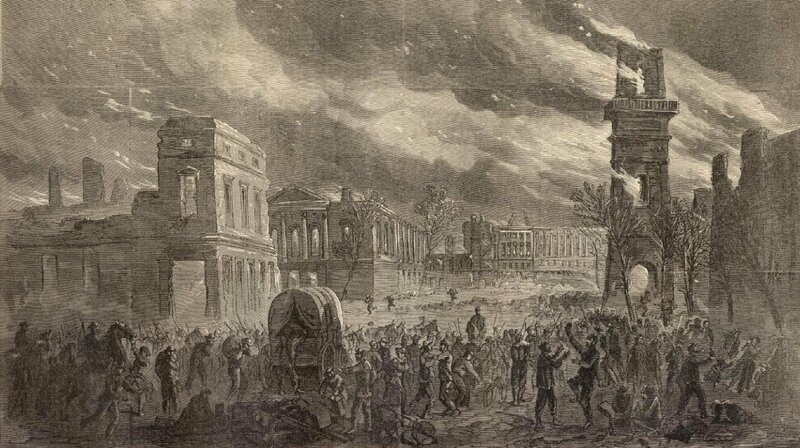 When Sherman’s forces entered Columbia, the site of Camp Sorghum is said to have so enraged the Union troops that it contributed to the level of violence in the attacks on the city. Camp Asylum, meanwhile, was a different story. The prison was established on the grounds of the mental institution, an elegant brick building designed by Robert Mills in 1822, after so many prisoners escaped from Camp Sorghum. Only one soldier is said to have died in the camp of the 1,200 prisoners (this number varies from 500 to 1,500). Conditions, while still difficult, were somewhat better than Camp Sorghum. The Union soldiers had access to medical care and the lucky ones even had bunks in large barracks or tents. If these were full, soldiers would dig pits for shelter similar to those at Camp Sorghum. Diaries and letters from prisoners describe the cold – how they would have to pace at night to keep from freezing. The prisoners did their best to keep spirits high and played games and even formed a glee club. According to legend, the Camp Commander allowed the prisoners to sing all the “Yankee” songs they wanted as long as they sang at least one southern song. The famous song, Sherman’s March to the Sea was written at Camp Asylum by Adjutant SMH Byers, who escaped the prison on the day Sherman entered Columbia. While Camp Sorghum now lies buried under a sub-division, archaeologists are excited to carefully (and quickly) excavate Camp Asylum. Historians have been compiling firsthand accounts of life in the prison and any other relevant documentation. Already, teams on the ground have uncovered buttons, combs, utensils, clothing scraps, and crude hand-made bricks that were stacked to provide shelter from the weather. This is an important facet of American history and an often-overlooked aspect of Civil War life. For Columbians, news of the prison camp came as a surprise. Many knew of the historic Robert Mills lunatic asylum, but not of the 1,200 Union soldiers imprisoned on the grounds. If you’re in the area, go on a tour before the whole site is covered up by a baseball diamond. Such an interesting story! Thank you!